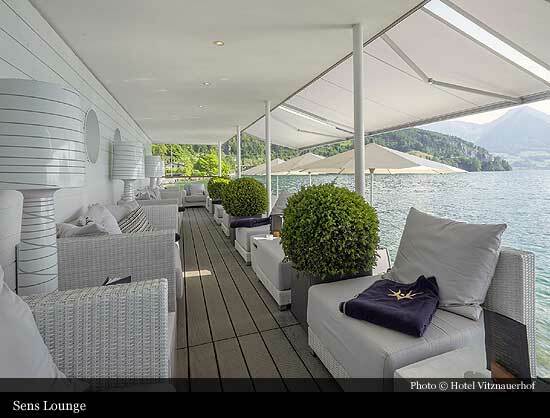 Located in a picturesque bay at Lake Lucerne, Vitznau is at the foot of the Mount Rigi, the queen of the mountains. Around 1870, the hotel property beside the Altdorf stream served as a shipyard. Side-wheeler such as “Germania” and “Italia” were assembled and launched there. 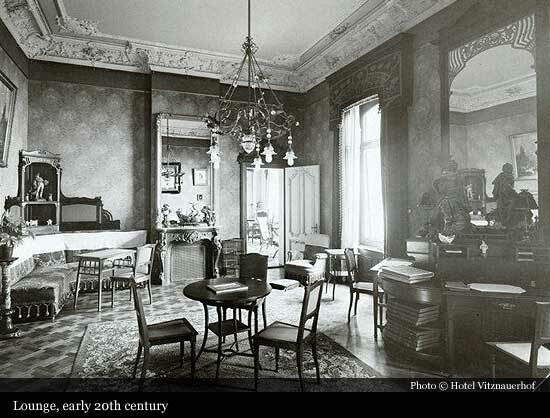 In 1896, even then well-known hotelier family Franz Michel, bought the properties before and behind the stream and started with the planning and construction of the „first class hotel“. 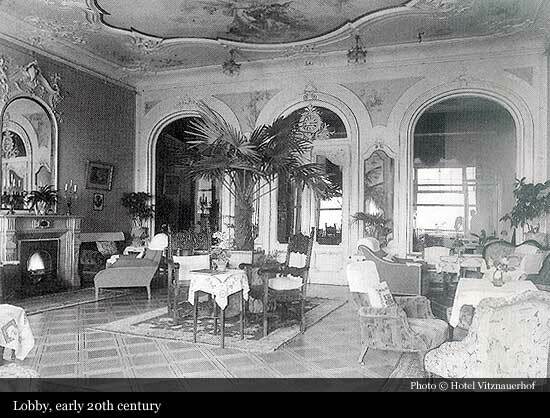 Originally known as the “Seehotel Vitznauerhof”, Hotel Vitznauerhof opened its doors in May 1901. It was designed according to plans of architect F. Kühn from Mannheim, in then popular Art Nouveau style. 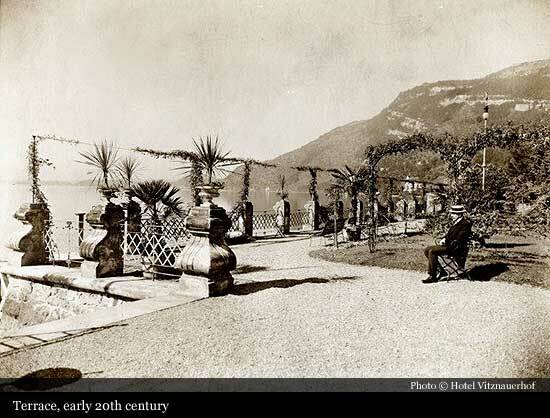 Situated on the lake with a beautiful, romantic garden and park, the hotel offered all luxury to their guests which was expected from a first class hotel: Swiss telephone connection, electric light, low-pressure steam heating as well as a beautiful park and garden, which invited for strolling. 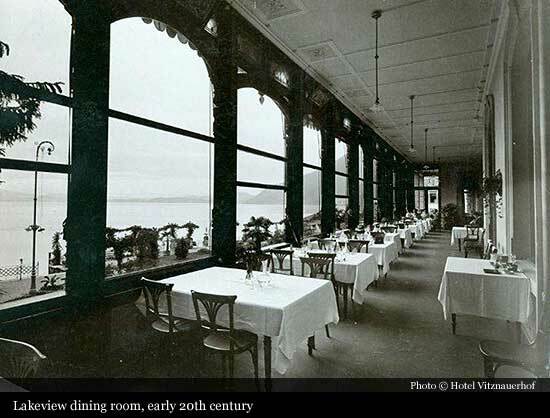 In 1911, the hotelier family Bon – owner of the Park Hotel Vitznau, Grand Hotel Rigi First and posterior builder of the Suvretta House in St. Moritz, took over the hotel. In this time the ramshackle roof tower had to be removed. The era began, when international audience of distinction came to Vitznau. 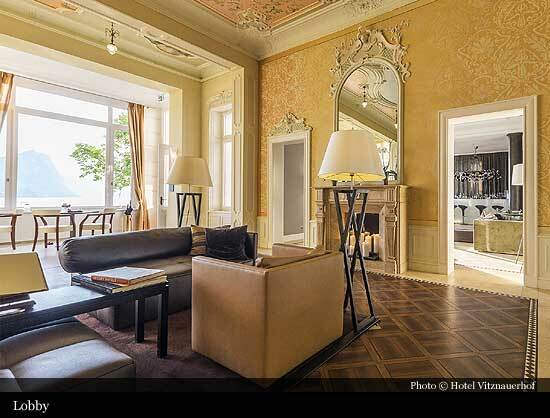 The “Seehotel Vitznauerhof” hosted many famous guests like Hermann Hesse, Richard Strauss, General Henri Guisan and Paul Klee as well as princess Gina of Liechtenstein who temporarily used a whole floor for herself. Robert Keller, who spent most of his career in hotels of family Bon and who became general manager of the hotel in 1919, bought the Vitznauerhof in 1924. 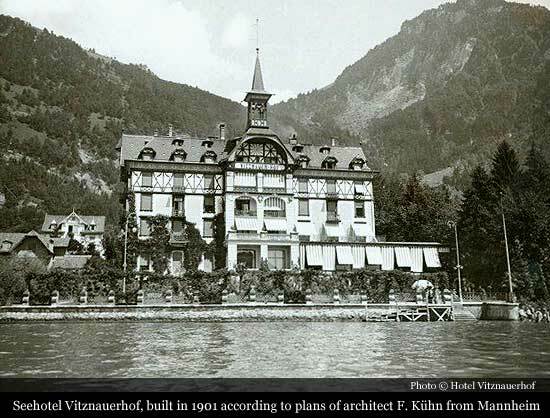 In the possession of family Keller, Hotel Vitznauerhof passed through three generations with numerous alterations and investments, for example the installation of the first Therma commercial kitchen in Switzerland and the introduction of the a part Service as the first house in lake resorts. The spirit of the age in the 50’s, the discovery of new materials as linoleum and pavatex, different periods of economic recessions dispersed many of the wonderful sign of the Art Nouveau. Roof lucarnes, stuccoes ceiling, Art Nouveau windows and glower were lost. 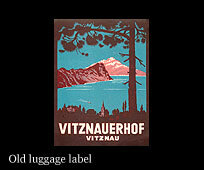 In November 1996, the refuge Vitznauerhof AG took over the “Seehotel Vitznauerhof”. 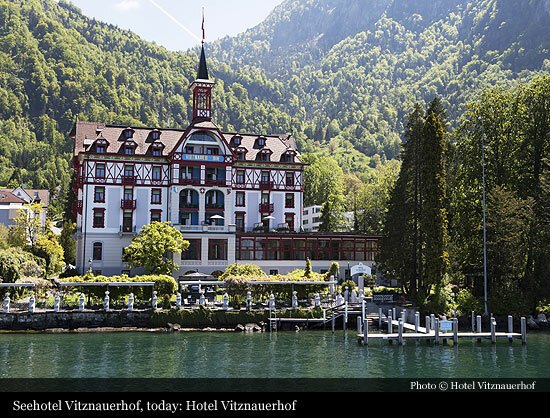 They wanted to make alive all the beautiful memories as, from the viewpoint of the historic preservation, the Vitznauerhof had an important position and a year later in 1997, the hotel reopened in new splendor. A big moment in almost 100 years of Hotel Vitznauerhof: The roof tower was putted on again during the restoration works. In that time exciting events were celebrated during the year and in 2001. 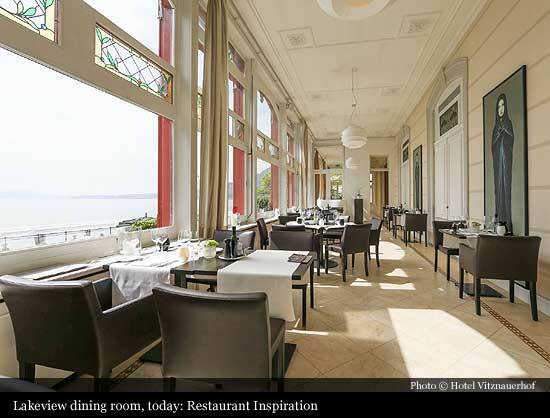 Arabella Sheraton affiliated the hotel Vitznauerhof as well as the Seehuus in their Arabella Sheraton Group. This hotel group owns many hotels in Switzerland and applies worldwide the same standards. In August 2005 the region of Vitznau experienced a flood disaster, which disturbed the hotel and the park widely, so the place of business had to be closed. 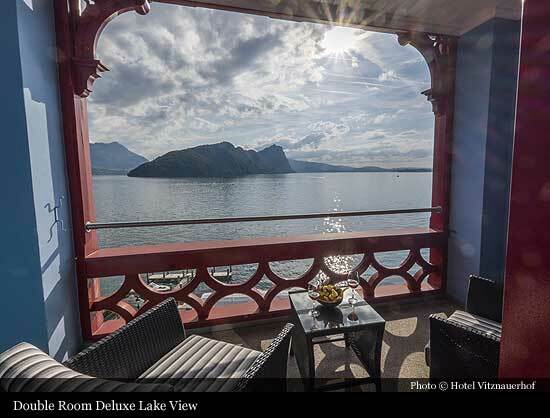 In December 2006 the owner of Hotel Vitznauerhof and Seehuus changed from the Arabella Sheraton AG to the pension fund Pro in Schwyz. 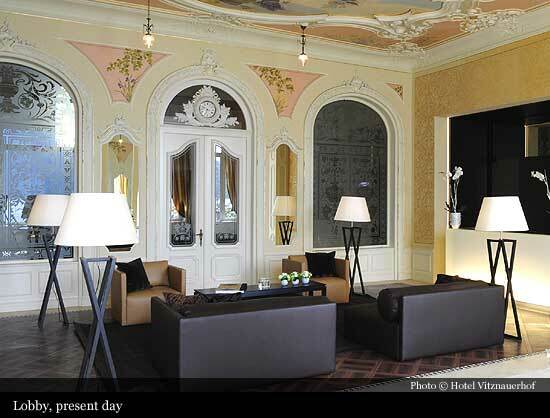 Mr. Alain Cheseaux administered the hotel as a tenant and converted it to a vital resort. At the beginning of the renovation and extension works in 2009 they attached value to the preservation of historical structure and many beautiful details such as paintings and stucco works were presented architecturally in the proper light. 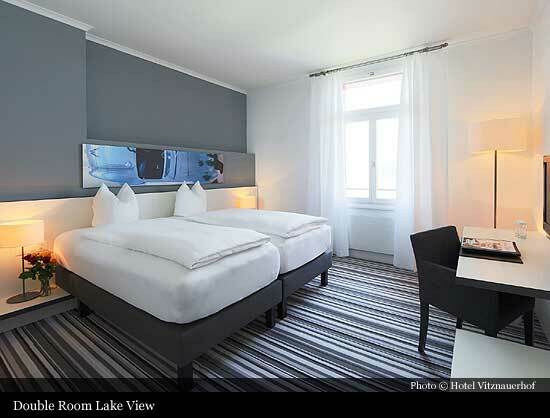 All guest rooms and common rooms were designed modern, open and bright under the command of architect Günter Thöni. 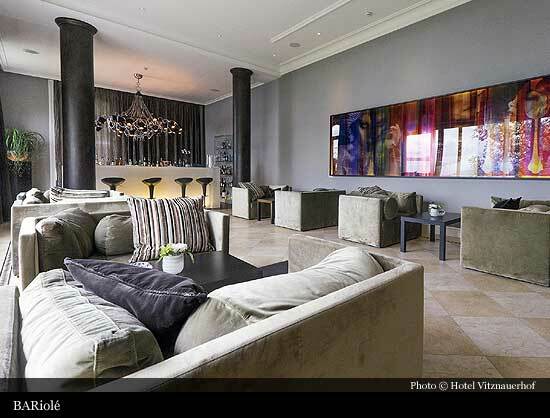 In May 2010 the “Hotel Vitznauerhof Vital Resort” opened with a medical unit. 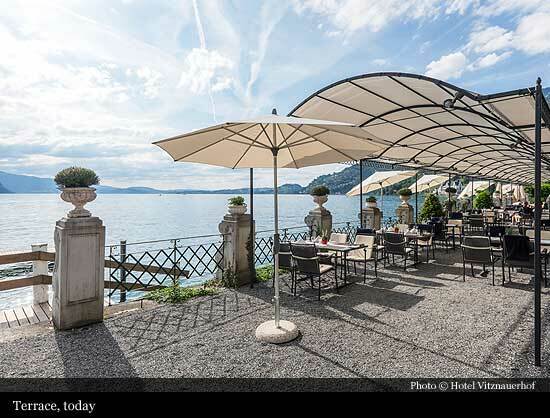 Furthermore, the gourmet restaurant Sens, which is a former boat house, opened. This day, the Sens is a fish specialty restaurant under the lead of head chef Karim Schumann. The Vitznauerhof offers his guests a generous wellness and spa area with over 900 m2, direct access to the park and a whirlpool under the open sky. Alain Cheseaux filed for bankruptcy in August 2011 and left the Vitznauerhof instantly. On the very same weekend Mr. Dirk Jan Post as directorate delegate of the pensions fund Pro and his wife Désirée Post took over the Vitznauerhof in the name of Operating Company Vitznauerhof AG. Several changes followed; among others the project of a vital resort had not been continued. From 2011 the hotel is a season hotel and closes its doors after autumn until spring. Several renovation works and changes were conducted. In spring 2015 Maria and Bardhyl Coli took over the Hotel Vitznauerhof as general managers and classified it as a 4-star-superior hotel. 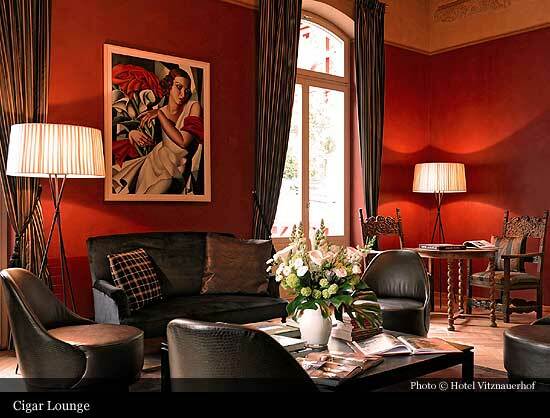 The Vitznauerhof is still a season hotel and from now on specialized in weddings, meetings and leisure guests. The entire team spends the winter season in the partner hotel “Waldhotel Davos” in the mountains of Grisons which is closed during the summer months.